Results are filtered using the Topics, Focus, Event, and Format filters on this page. Some items are visible only to logged-in, ABA-member booksellers. Content related to the education session, Glossary of Diversity, Inclusion, and Equity Terms[field_which_institute]. Content related to the education session, A Free Speech Century[field_which_institute]. Content related to the education session, On Author Akram Aylisli and Book Burning in Azerbaijan[field_which_institute]. Content related to the education session, Counterspeak: Booksellers Launch the Open Discussion Project[field_which_institute]. Content related to the education session, ABC Presents: Experiential Reading — Graphic Novels Shape the Way Young People Read[field_which_institute]. Content related to the education session, ABC Presents: Crash Course in Kids' Bookselling[field_which_institute]. Content related to the education session, Using ABACUS as a Budgeting Tool[field_which_institute]. Content related to the education session, ABC Group Presents: Selling Direct to Schools[field_which_institute]. Content related to the education session, ABC Group Presents: Hosting A+ Educator Nights[field_which_institute]. Content related to the education session, Selling International and Diverse Books: Panel with Bookselling Without Borders Alumni & Organizers[field_which_institute]. Never has there been a greater need for diverse and international voices in the American market. In this session, panelists will discuss practices they have brought back to their stores from their experiences with Bookselling Without Borders, a fellowship program that sends U.S. booksellers to foreign book fairs as part of a book industry professional exchange program. Among other things, the Bookselling Without Borders program seeks to help booksellers develop concrete ideas for increasing sales of diverse and international literature in the indie market. Content related to the education session, Refugee Book Drive[field_which_institute]. Content related to the education session, Principals of Bookstore Finance Seminar[field_which_institute]. The 101-level seminar, led by ABA CFO Robyn DesHotel and Cynthia Compton of 4 Kids Books & Toys in Zionsville, Indiana, covers the fundamentals of budgeting, understanding cash flow, business financing, bookkeeping, and financial statements. The seminar concentrates on bookstore finances as opposed to bookstore accounting and deep financial experience is not required. This video is available to logged-in, ABA bookseller members only. Content related to the education session, You’ve Got Mail — Best Practices for Sending a Newsletter Customers Want to Read[field_which_institute]. Newsletters are an easy and fun way to communicate to your customers what’s happening in your bookstore. Bookselling panelists who have mastered newsletter writing will dissect what makes a successful newsletter. Content related to the education session, Beyond the Bookstore: The Bigger Bookselling Picture and How to Get Involved[field_which_institute]. Launch your passion for bookselling into the stratosphere by taking the steps to become a heavy hitter in the independent bookselling world. There are many ways to get involved, and opportunities are always available. Hear from members and leaders of the independent regional bookseller associations, the ABA Board of Directors, the ABC Advisory Council, the ABA Bookseller Advisory Council, Indies Introduce panelists, and ABA Education Task Force members about the processes, commitment, and experiences booksellers can expect when they get involved outside the store. Content related to the education session, Roundtable: Sharing Favorite Bookstore Forms[field_which_institute]. Are you looking for better checklists and forms to help you organize your store operations? Or do you already have procedures for self-published authors, special orders, or other store operations that you can’t live without? Here’s an opportunity for you and your fellow booksellers to crowdsource solutions. Come to this idea exchange with copies of your “best loved” forms and exchange them with “best loved” forms from other stores. Content related to the education session, Emergency Preparedness and Resiliency for Your Business [field_which_institute]. When your business is hit by a disaster, you need to know you are prepared. Whether you are dealing with floods or fire or other disaster, your business survival will depend on having a solid emergency plan in place and a resilient and adaptable business model. Booksellers who have experienced disaster in their store and community will share best practices, and local and national FEMA and emergency preparedness experts will share tips that will help businesses survive and rebound. Content related to the education session, ABC Idea Exchange: Tips and Tricks to Train General Booksellers to Hand-Sell Children's Books[field_which_institute]. Uh-oh! A customer needs help in the children's department, and not one children's specialist is available to assist. Don't panic — this session is for you! In a workshop setting, children's booksellers will offer advice, tips, and tricks to help the general bookseller expand their repertoire of sales skills to include selling children's books with confidence. Content related to the education session, Hiring for Diversity and Inclusion[field_which_institute]. Making hiring decisions for a diverse sales force often requires a new and different approach to hiring — including looking outside your normal sources for candidates and fostering relationships both in the store and in the larger community. Mecca E. Santana will be joining Marc Villa (Politics and Prose Bookstore) in a discussion on how to make your store more diverse and inclusive. Mecca is the Vice President of Diversity & Community Relations for Westchester Medical Center Health Network in White Plains, NY. Prior to this position, Ms. Santana served as the Chief Diversity Officer for the State of New York, and was responsible for the promotion of workforce diversity and inclusion, while also leading new initiatives to increase Minority & Women Owned Business (MWBE) procurement opportunities. Content related to the education session, Best Practices for Buying, Marketing, and Handselling Diverse Books[field_which_institute]. Booksellers who have successfully expanded sections to include diverse books will share resources and techniques for buying, marketing, and handselling these books. Panelists will represent stores from communities of different sizes and demographics. Content related to the education session, Bookselling 202: Acquiring Used Books and Starting a Trade-in Program[field_which_institute]. Booksellers experienced with successfully operating used bookstores will compare and discuss the financial model, including acquiring, selling, and trading used books for credit. This panel, for booksellers who are interested in offering used books, assumes you have a working knowledge of general bookstore financial operations. Content related to the education session, ABACUS 101: Improving Bookstore Operations Through Benchmarking[field_which_institute]. ABACUS is a yearly benchmarking survey that gathers key information and insights on bookstore financials. Stores that participate in ABACUS know how important this unique and actionable data is to their store’s long-term viability. Industry Insights, the organization that compiles and analyzes the confidential bookstore data, will offer a tutorial on the new ABACUS web portal, review key survey trends and results, and demonstrate how to generate reports to best utilize a store’s data. In addition, booksellers who regularly submit to ABACUS will explain how they have been able to implement changes based on their ABACUS report. Content related to the education session, Advanced Education: Succession Planning[field_which_institute]. Pre-registration required; for owners and managers only. Registration is closed. Exiting a much-loved business can be difficult to consider, but whether you are preparing to retire or you expect to own your store for many years to come, it is important to have a plan in place for your business and to consider all succession options. A bookseller who has gone through the process of selling a store as well as a representative from a local financial group that offers business valuations will lead a conversation on how to prepare for this important step in the life of your store. Content related to the education session, Idea Exchange: Favorite Bookstore Forms, Documents, and Procedures[field_which_institute]. Are you looking for better checklists and forms to help you organize your store operations? Or do you already have procedures for self-published authors, special orders, or other store operations that you can’t live without? 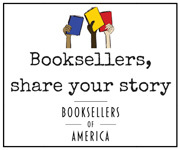 Here’s an opportunity to crowdsource solutions for you and your fellow booksellers. Come to this idea exchange with a number of copies of your “best loved” forms and exchange them with “best loved” forms from other stores. Content related to the education session, ABC Presents 101: Author Events for Schools[field_which_institute]. Schools serve as an established audience for children’s authors. In this session, booksellers will learn how to develop relationships with schools and libraries, build pre-order sales, and encourage publicists and authors to put their store at the top of a publisher’s list for sending visiting authors to their community. Content related to the education session, Working With Self-Published Authors[field_which_institute]. Multiple programs are available to help booksellers work with local self-published authors. Panelists, including representatives from the Independent Book Publisher Association and Ingram Spark as well as booksellers who have created mutually beneficial relationships with self-published authors, will discuss existing programs and tips for successful relationships. Content related to the education session, For Authors: Working with Independent Bookstores[field_which_institute]. Developed for authors, this panel features booksellers who have formulated best practices for working together to create events that benefit both stores and authors. The session will cover a number of issues, from author publicity to dealing with pre-event nerves. Content related to the education session, Featured Talk: Marley Dias in Conversation with Suzanna Hermans, “Inspiring Readers to Enact Change”[field_which_institute]. Marley Dias, in conversation with Suzanna Hermans of Oblong Books, will discuss her journey from New Jersey tween to viral activist sensation—and now to author. Marley’s effort to diversify the characters on her bookshelf by collecting #1000BlackGirlBooks was celebrated by thousands of readers, and by booksellers across the country who supported her campaign in their stores and on social media. At this event, Marley will engage in a lively Q&A about reaching young readers who are equally interested in activism, pop culture, and serious news As she said in an Elle.com interview, “My generation feels the pressure to make things better, but we need more spaces to speak our minds and to make a difference.” Marley will encourage booksellers to make their stores a go-to resource for young people and their varied passions. Content related to the education session, Growing Sales With Your Favorite Backlist Titles – What Works, What Doesn’t[field_which_institute]. A strong backlist inventory is the cornerstone of book sales. Bookseller panelists who have learned to successfully curate their selections will share their knowledge on the importance of backlist, how to choose and display books, which titles continue to sell well, and which children’s categories to invest in to maintain a robust backlist collection for customers. Content related to the education session, Fostering an Inclusive Environment for Staff and Customers With Disabilities[field_which_institute]. Creating an inclusive environment is essential to broadening the goodwill and customer base of any bookstore. Panelists will discuss the social and financial reasons for making your store accessible in compliance with the Americans with Disabilities Act, strategies for educating staff, how to make accommodations for staff and customers with disabilities, ideas for special programming and related outreach, and resources to guide such initiatives. Breakfast Keynote: Jason Reynolds, "Karibu Means Welcome"
Content related to the education session, Breakfast Keynote: Jason Reynolds, "Karibu Means Welcome"[field_which_institute]. Jason Reynolds tells the story of being a reluctant reader as a child, to being a bookseller at Karibu Bookstore, and how all of it helped shape him as a writer. Featured Talk: Allison Risbridger, "Where Are We and Where Are We Going? Trends and Findings in Children's Bookselling"
Content related to the education session, Featured Talk: Allison Risbridger, "Where Are We and Where Are We Going? Trends and Findings in Children's Bookselling"[field_which_institute]. Allison Risbridger, client development specialist at NPD Book, will present a review of the most recent data on the U.S. children’s book market with a deep-dive into the latest trends in genres, formats, buyer behavior, and more. Attendees will emerge with plenty of new insights to help them better understand their business in the coming year. Content related to the education session, Understanding Development and Reading Styles to Connect with Middle Grade and YA Readers[field_which_institute]. One day she is a child and the next day an adult: hand-selling to middle-grade and young-adult readers can be a challenge. In this session, a panel of experts will share information about learning styles and cognitive behavioral development to assist booksellers in negotiating the tween and teen brain and recommending appropriate books to create readers for life. Content related to the education session, Roundtable Discussion: Careers in Bookselling – How to Grow by Doing What You Love[field_which_institute]. Tegan Tigani of Queen Anne Book Company (Seattle, WA) will lead a brainstorming session on how booksellers can successfully expand their passion for books to other arenas and add to their personal income without having to give up their day jobs. Content related to the education session, Bookselling 101: Writing Effective Blurbs[field_which_institute]. Content related to the education session, Making the Most of Literary Awards[field_which_institute]. Content related to the education session, Maximizing Margin[field_which_institute]. An ongoing commitment to improving margins is a key to increasing bookstore profits. Focusing on freight costs, cost of goods sold, and even shrinkage can help any business improve the bottom line. Panelists in this session will help booksellers focus on successful strategies and best practices that will help guide booksellers into greater profitability. Content related to the education session, Bookselling 101: Basic Sales Techniques to Engage the Customer[field_which_institute]. Content related to the education session, Converting Social Media to Sales[field_which_institute]. Social media is here to stay, but no one platform is invincible. Algorithms can change overnight. For example, if Facebook disappeared tomorrow, your following would evaporate with it. Luckily, you are already investing in one online presence you do control: your website. This panel will review how to use social media to drive traffic to your website and e-newsletters --regardless of which social media platforms you prefer or how they can change -- and how to leverage your social followings to meet your store's marketing goals. Content related to the education session, Climate Change and Retail Trends[field_which_institute]. Content related to the education session, Featured Talk: The Indies Introduce Authors & Booksellers[field_which_institute]. Content related to the education session, ABC Presents: Using Nielsen Data to Expand Nonfiction Sales[field_which_institute]. Content related to the education session, Integrating Used Books Into Your Inventory[field_which_institute]. Content related to the education session, ABC Presents: Successfully Merchandising and Selling Graphic Novels[field_which_institute]. With graphic novels rapidly expanding as a category and continuing to mature as an art form, stores may struggle to determine which books to carry and how to display them, as well as how to handle resistance from skeptical parents and educators. Panelists will discuss these issues and more, from essential title lists to successful handselling and the value of graphic novels in fostering reading. Content related to the education session, ABC & ALA Present: Partnering With Your Local Library [field_which_institute]. Booksellers and librarians serve a common need and share many goals, but partnering on events and other initiatives can be challenging. Presented in cooperation with the American Library Association, this panel, featuring pairs of booksellers and librarians who are successfully working together, will discuss potential hurdles as well as solutions for productive partnerships between bookstores and libraries. Content related to the education session, ABC Presents: Non-Author Events for Picture Books, Middle Grade, and YA[field_which_institute]. Fun and exciting events don’t always have to feature a visiting author. Themed events built around books for different age groups can offer great no-cost opportunities to fill out your calendar, attract new sales, and bring customers into your store beyond storytimes and discussion groups. Content related to the education session, ABC Presents: Getting the Most Out of Your ARCs[field_which_institute]. Your stockpile of ARCs can present a great opportunity for marketing and community outreach at no additional cost. Learn from other booksellers how creative programs using ARCs and donations to underprivileged schools can lead to significant sales increases in your store or at your book fairs. Content related to the education session, General Principles of Bookstore Accounting[field_which_institute]. Whether you hire an accountant or you do it yourself, you still need an understanding of the basic elements and principles that are part of every accounting system. This session will review standard accounting principles and provide tips for those looking to hire the right professional. Content related to the education session, Overall Trends in Book Retailing[field_which_institute]. Industry experts will review and present current data on overall trends in U.S. book retail, including online shipping, book buying, and the impact showrooming vs. webrooming. Content related to the education session, Education for Authors: How to Work With Independent Bookstores[field_which_institute]. Developed for author guests at Winter Institute, this lunch panel features booksellers who have formulated best practices for working together to create events that benefit both stores and authors. This session will cover a number of issues, from author publicity to dealing with pre-event nerves. Content related to the education session, Amazon & Empty Storefronts: A Civic Economics Study[field_which_institute]. More than any retailer in the past 20 years, Amazon.com has transformed the industry. In a groundbreaking study, Civic Economics -- a leader in research related to local economies and the impact of shopping decisions -- has for the first time quantified the real costs and ramifications of Amazon's expansion . Joining Dan Houston and Matt Cunningham of Civic Economics will be Stacy Mitchell, of the the Institute for Local Self-Reliance, who will discuss important local and national policy considerations regarding an equitable and sustainable economy. Content related to the education session, "Pitching" the Store: Developing Publisher Relationships for Great Events [field_which_institute]. To host the authors you want, it is important to create a relationship between your store and the various publishing houses. This panel of publicists and event managers will highlight the value of bookseller/publicist partnerships and will offer tips on how to establish a relationship and how best to benefit from it. Content related to the education session, Creating a Bookstore Café[field_which_institute]. If you are thinking about opening a café or other food and beverage component in your bookstore, this session is not to be missed. Panelist will discuss tips and best practices for start-up, profitability, staffing, and overall management for combining book retail and a café business. Content related to the education session, How to Keep Seasonal Customers Year Round[field_which_institute]. If you own or work in a bookstore where the customer base is primarily seasonal, you know how slow the off-season can be. What can you do to increase profits during this time? And how can you continue to provide services to seasonal customers once they head home? Experienced booksellers will share their best practices. Content related to the education session, Minimum Wage Update: Advocacy and Implementation[field_which_institute]. The question of raising minimum wage has become a prominent issue, with elected officials and organizations across the country actively engaged in the matter. What can indie booksellers do to ensure that any minimum wage increase takes into account the economic realities of indie retail? Booksellers on the West Coast are dealing with this issue now. They will discuss what they have learned and offer insight regarding how to become actively engaged in minimum wage discussions in your community. Content related to the education session, The Economics of Publishing[field_which_institute]. In this detailed financial session, publishers will walk booksellers through the Profit and Loss statement of a new trade title and the financial realities of publishing, while delineating the many factors that affect both the bookstore channel and consumers. Important P&L line items such as suggested retail price, production costs, marketing, and returns will be discussed, as will broader themes that impact the day-to-day cost of publishing. Content related to the education session, Bookselling 101: Introduction to Inventory Management Systems[field_which_institute]. Whether you have purchased an existing store (and its inventory system) or have launched a new store, you know that active inventory management is critical to managing costs, buying successfully, and improving the experience of your customers. In this session, panelists will review the basics and will discuss the keys to effective inventory management. Content related to the education session, Making Storytime Fun and Profitable[field_which_institute]. Learn how to attract capacity crowds week after week and how to market to this captive audience to drive sales. Energetic and dynamic bookstore storytime leaders will discuss how to incorporate variety, pacing, and songs to add to the fun, as well as the risks and rewards of soliciting donations or even charging admittance. This session will also include a demonstration of tips and tricks for wearing costume characters, including fun and easy ways to pose for pictures, how to deal with frightened children, and simple moves to make the character come alive. Content related to the education session, Reaching Reluctant Readers[field_which_institute]. For booksellers, there are few greater triumphs than placing the right book in the hands of any reader, but that is especially true for kids who rarely if ever read for their own pleasure. How can we reach these non-readers and what can be done to turn them into readers? Booksellers and educators who have been successful in the ongoing struggle to reach reluctant readers will be joined by bestselling author and literacy advocate Jon Scieszka to share their passion to make a difference and discuss what they have learned works best for inspiring children to want to read. Content related to the education session, Starting a Children's or Teen Book Festival[field_which_institute]. A children’s book festival can be an ideal vehicle to promote reading and literacy in your community. Booksellers with vast experience at literary festivals around the country will explain how to get started with your own children's or teen festival, working in partnership with other local businesses and organizations, attracting authors and publicists, and garnering media attention. How narrow or broadly should your focus be, when are the best times of year, and what other considerations must go into such an undertaking? Learn all this and more before adding a festival to your events calendar. Content related to the education session, Partnering for Diversity With Schools and Non-Profits[field_which_institute]. Bookstores everywhere are resources and gathering places in their communities but underrepresented and disenfranchised students often lack the means to visit your store or are unaware of how much you have to offer. In these cases, partnering with religious, cultural, and non-profit organizations, as well as underprivileged schools, can help reach new customers. Learn from booksellers across the country who have been successful in bridging this divide and creatively getting a share of Title I money so books can find a home in diverse households of all income levels. Content related to the education session, Birthday Party Rentals[field_which_institute]. Renting out event space in your store for birthday parties and other occasions is a great way to diversify sales and add revenue, but what resources are required and what should you expect to provide? Leading booksellers with extensive in-store birthday party operations will discuss how to get started, what kind of packages you might consider offering, and how to market to—and beyond—your customer base. Content related to the education session, Creating a Business Plan for a Successful Future[field_which_institute]. A business plan is a document typically associated with launching a bookstore. However, any time you decide to make a change to your operations, it's critical to have a plan. This session will include a review of the essentials for any business plan. Attendees will have a chance to have their own business plans reviewed post-Winter Institute by panelist Jodi Rhoden, Owner/Operator of Short Street Cakes and Teacher at Birds Eye Business Planning (Asheville, NC). Content related to the education session, Managing Successful Book Fairs In-Store and Off-Site[field_which_institute]. Book fairs can be a great source of revenue if you can keep them from being a drain on your resources. How far in advance should you schedule in order to properly prepare? How much inventory should you have on hand, and how do you choose titles and decide quantity? Should you discount books, or offer a percentage of sales as cash back? What kinds of events are helpful in driving book fair attendance? What organizations, other than schools, make good book fair partners? This session will give you the keys to grow your book fair business in your store, at schools, and elsewhere in your community. Content related to the education session, Selling Picture Books in the Wake of Age Compression[field_which_institute]. It is clear that age compression -- or the marketing of titles for older children to younger children -- is having an effect on the sales and popularity of picture books among elementary school children. But the benefits of reading picture books to older children are many. How can you educate customers about the importance of picture books for children ages 5 and up? Content related to the education session, Alternative Sources for Raising Capital[field_which_institute]. Content related to the education session, The Passion Conversation: Understanding, Sparking, and Sustaining Word of Mouth Marketing[field_which_institute]. Content related to the education session, Handselling 101[field_which_institute]. Content related to the education session, Free for the Asking: Marketing with PR & Social Media[field_which_institute]. Putting your store in the media spotlight and keeping it there does not have to cost a lot of money. In fact, it doesn't have to cost you anything at all beyond usual staff hours. This session will focus on how to take advantage of free media outlets to market and promote your store. Content related to the education session, Customer Surveys: Why & How[field_which_institute]. Have you ever wondered what your customers think about your store or how they view you compared to your competition? In this session, find out how to create and execute customer surveys that will help you learn more about your customers and develop more effective strategies to meet their needs. This session will outline the "nuts-and-bolts" of how to do customer surveys -- including how to frame questions, administer the survey in your store and online, and analyze the results. Content related to the education session, Building and Rewarding Customer Loyalty[field_which_institute].